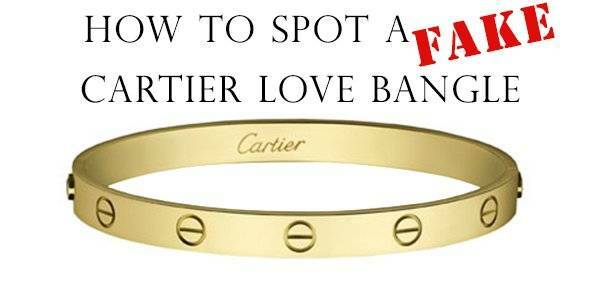 This iconic Love Bangle by Cartier dosen't come cheap and with thousands of fakes on the market it's important to know what to look for if your going to purchase one. In this blog we will go through the key factors to look for when checking for authenticity of the Love Bangle as shared by our jewellery expert appraisers. 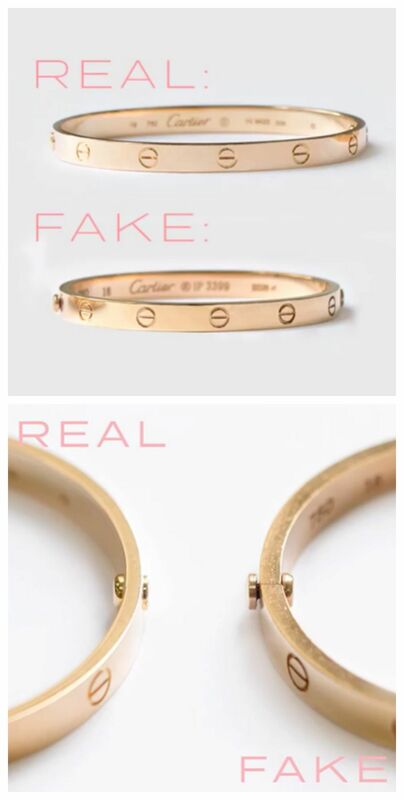 So How Can I tell If Your Cartier Love Bangle Is Real ? Hallmarks/Stamps - The first factor to look at closely is the stamps and markings on the bangle. You should beable to see a serial number, the Cartier name the bangle size and the kt of gold. 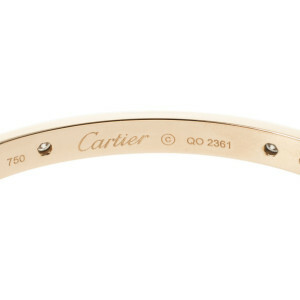 All of the hallmarks and stamps on a Cartier bracelet will be crisp and clear and easy to read. On a fake the stamps may be sloppy and uneven and not so easy to make out. The “Cartier” signature and all other engravings are always very clean and featured in a specific font, which may vary depending on the year of production. This will always be mentioned on the inside of the bracelet. It will either read 16, 17, 18,19 or 20 – the number of inches of the diameter. Another factor to look at is the color of the Love bangle. Cartier Love bracelets are made in yellow gold, white gold, rose gold and platinum. The options for customization with diamonds in combination with these metals are nearly endless. 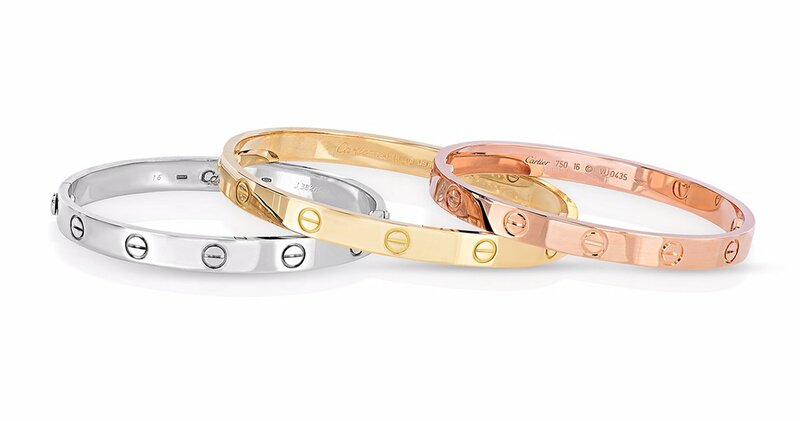 However, Cartier Love bracelet replicas will sometimes use sterling silver instead of platinum and white gold, and may use gold plate sometimes heavily plated or fake gold to mimic the other gold colors. Any diamonds would likely be imitation as well as diamonds would be too expensive to have in replicas. If the Love bangle in question has a brassy or chrome like quality to its color and shows signs of tarnish then the chances are its likely a fake. You could ask your local jeweller to perform a test for you on the bangle to see if it's gold ect also gold it not magnetic so if you have a magnet you can also use this test. Dose It have Box And Papers? Anyone who spends this much on a Cartier Bracelet will generally keep all accompanying paperwork and the box as they know how much they spent and that if they came to sell it without the box or paperwork it would prove tricky. Some of the Replica's may have a box or bag but the quality of the box and the bag is not going to be anywhere near as nice a guenuine Cartier Box ect. 3 letters and 3 digits (example ABC 999). This format has recently been introduced. The Cartier Love Bangle quickly beacame one of the most iconic pieces of jewellery and sits up there with the most sought after and coveted pieces in the fashion industry. And it’s not only because it’s hard to take off once it's on(each bracelet is fastened on the wearer’s wrist and can only be taken apart using a tiny screwdriver), but this piece of fine jewellery boasts a modern sophistication which appeals to the masses. From Jennifer Aniston to Cameron Diaz and Angelina Jolie to Kanye West (who wears three at a time no less! ), there won’t be one A-lister you can find that doesn’t own this bracelet. So, whilst we can’t divulge all our top tips to spotting a fake as it's alot to take in we’ve decided to share a few of our key points for you to look out for and hope you have found this helpful. If you wish to sell your Cartier Love Bangle, and would like a quote, just fill in our online enquiry form below with the details and a member of our appraisal team will get back to you as soon as possible with our price.